If you hold the PX4 Storm Compact and you'll immediately realize that this handgun can do it all. Perfectly sized and balanced, it is equally suited for concealed carry, home- or personal defense as well as recreational shooting. With its full grip, full-capacity magazine, accessory rail and interchangeable backstraps, you will get a further sense of its versatility. But it is at the shooting range that this double/single-action compact handgun will truly wow you: thanks to its rotary barrel system, recoil dissipates radially, resulting in much less thump in your hand and super-fast follow-up shots. The PX4 Storm is a handgun that will keep delivering premium Beretta performance even after years of hard use. 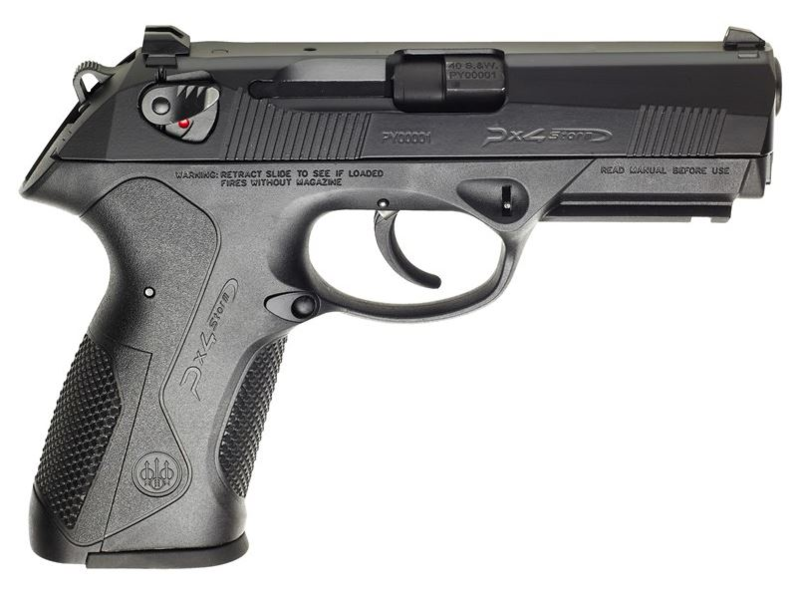 Manufactured in Italy, this PX4 features a Fiberglass-reinforced gray polymer frame, Black Bruniton slide finish, Chrome-lined barrel, Picatinny rail, and 3-dot sights. Ships complete with interchangeable backstraps, hard case, lock and (2) 15-round magazines.